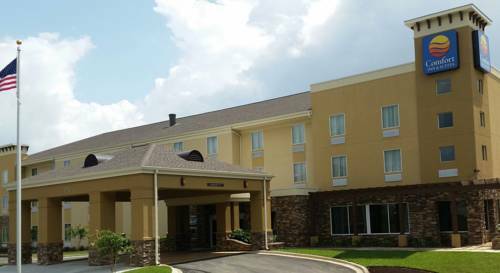 Get everything you need to be at your best when you stay at our Comfort Inn and Suites hotel in Dothan, AL. Our hotel is near the Dothan Area Botanical Gardens, Wiregrass Museum of Art, Dothan Civic Center Arena, Dothan Opera House and the Wiregrass Commons Mall. Each guest can enjoy our hotels free breakfast, free WiFi, exercise room, business center and free weekday newspaper. Unwind in one of our cozy guest rooms, all of which feature a refrigerator, microwave and coffee maker. Start earning reward today when you sign up for our Choice Privileges program.